By Ahmed Umair on November 13th, 2008. 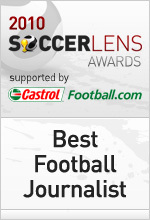 The 2007 Soccerlens Awards featured 84 sites, 14 categories and tens of thousands of votes. The winners are listed here.